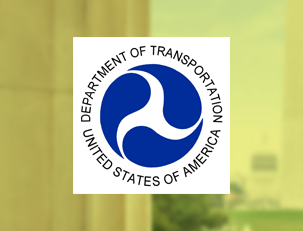 DOT has one of the largest, most highly reputable OIGs in the U.S. government, with a nationwide workforce of more than 400 employees. When DOT’s current IG arrived, he encountered a leadership and organizational culture that he quickly recognized needed substantial improvement. He engaged TWG in partnership with Federal Management Partners, Inc. (FMP) to help him plan a strategy for approaching the issues he faced and to design, develop, and implement a leadership development program to transform the organization’s culture. The IG’s key measure of success was the Federal Employee Viewpoint Survey (FEVS). He wanted to dramatically improve those scores. Working directly with the IG and his leadership team, TWG and FMP designed a comprehensive strategy for leadership development that included 360° feedback, leadership coaching, training, organizational assessments, and annual employee surveys. DOT OIG’s leadership development efforts have led to dramatic improvement in FEVS and internal survey scores, making it the second-most-improved federal government component. The accomplishments of this program are widely considered a best practice, have been featured by the Partnership for Public Service, and have been modeled across DOT. TWG continues to work with the OIG to cascade the leadership development efforts throughout the organization and to support the team in responding to organizational and leadership challenges that emerge, including budget cuts and new programmatic requirements. With a steady focus on strong leadership, a performance culture, and regular communication, OIG is continuing to see incremental improvements on survey scores, even in this challenging time for the federal government.